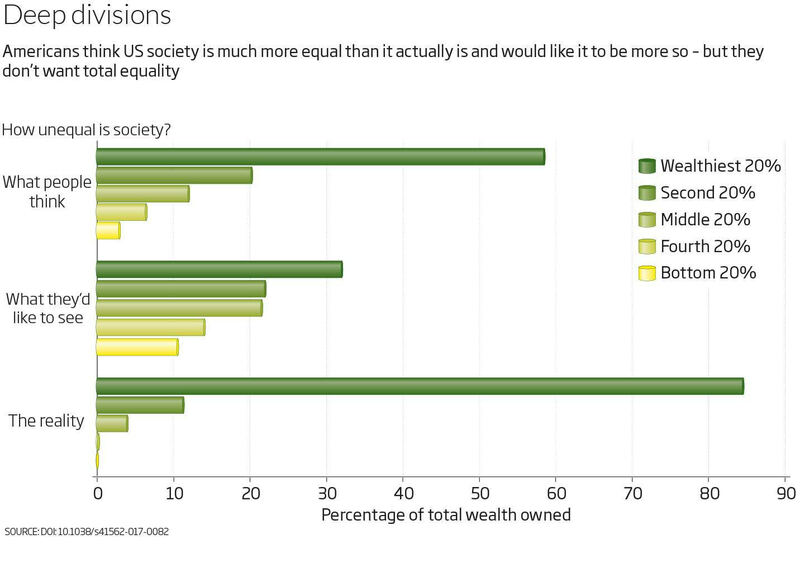 You’ve got the wealth gap all wrong. You think it is bad. YOU are probably aware that there are high levels of inequality in the world and that inequality is getting worse. But it is unlikely that you appreciate just how unequal things are. So here is a way of visualising it. Take the wealth of the eight richest people on the planet and combine it. Now do the same for the poorest 3.5 billion. The two sums are the same, £350 billion. Correct: just eight people own as much wealth as half of the world’s population. That is just one of many eye-watering measures of inequality. Consider that in the US, almost 85 per cent of the wealth is owned by just 20 per cent of the population, and the bottom 40 per cent own just 0.3 per cent of it. In 1960, a chief executive in the US typically earned 20 times as much as an average worker. Today it is more like 354 times.